In general the researchers were unclear as to how Omega 3 fatty acids could cause cancer. It was also impossible to tell whether the elevated levels of fatty acids were due to taking supplements or eating fish. There is simply no evidence that anybody in this study took fish oil supplements or even ate fish. This team also did not distinguish between the inactive omega 3 ALA precursor from the active forms EPA and DHA. Without a dietary history of long term consumption of fish oil there is no way of knowing anything for certain, especially any association with cancer formation. 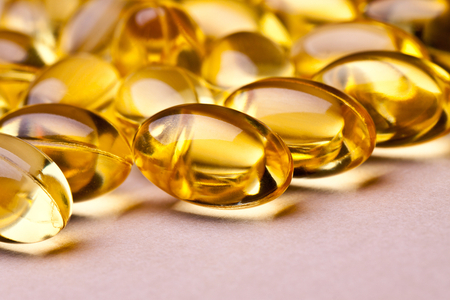 In addition, even if these patients did consume fish oil supplements, there is no knowing if these were prepared with good manufacturing practices. This practice eliminates contaminants like heavy metals which could contribute to cancer formation. All of these facts show there is no relevance or any significance to this study. But perhaps the strongest evidence that this study lacks validity is the fact that this study was observational in design. In order to prove cause and affect the study must be a double blind placebo controlled study involving a large number of participants. To put in into perspective one would need two groups of men without prostate cancer. One group would receive Omega 3 fatty acids and the other group a placebo that looks exactly like the real Omega 3 capsules. The study must be double blind, meaning that neither the administrators of the medication nor the participants would know who is receiving what. The study would have to go on for such a period of time as to show if in fact Omega 3fatty acids cause more cancers in the treatment group. In other words observational studies prove nothing. Furthermore the research team that conducted the study has a long history of criticizing and down playing natural health products using unsound studies. They are simply against natural remedies in general. This mind set is not what is expected of a true scientist who has always an open mind without previously existing premonitions. So draw your own conclusions but I for one am going to lean on thousands of years of evidence supporting the benefits of fish (see Jamieson products on vitarock). Such as a healthy cardiovascular system, brain function and anti-inflammatory properties. It’s good to be critical, but when it comes to bad science it simply is not enough.